Make way for non-boring OOTDs. On days when your outfit’s feeling a bit too meh, turn to these OOTD game-changers. These are non-committal pieces you can wear or take off, depending on your mood. Put these on your shirt, your bag, your jacket, your cap—wherever! Where to get them: Pointy Little Things makes the most creative collection of pins and patches with personality, while Class Act makes handmade polymer clay goodies you can actually wear. Shoulder dusters and hoop earrings are accessories we’ll never tire of. Here are new renditions worth trying. Where to get them: Go crazy over Tropik Beatnik’s insanely colorful collection! Check out Hello Likha’s assorted collection of handmade earrings, or try the lightweight, pastel-colored danglers from Class Act. Get away with wearing “slippers” in the city with these stylish finds. Where to get them: This platform pair with a unique Yakan weave from Tingi-Tingi will look gorg with jeans, or you can also check out Toni Pons Manila’s ultra-comfy espadrille options. Consider these errand-day savers. Whether you’re off to buy corned beef or suka at the nearby tindahan, have a tote or a little clutch to put in your barya and other shopping essentials. 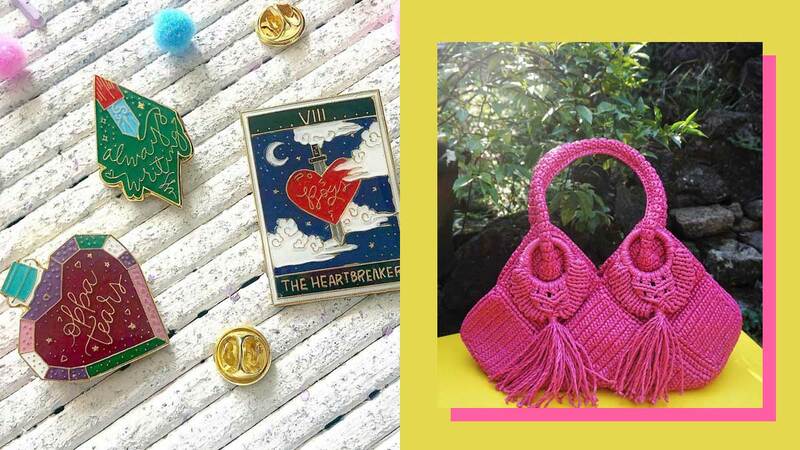 Where to get them: The Ceylon Shop curates colorful goodies from all over the globe, like this set from Colombia; while Tingi-Tingi has the best bag collection made from different provinces in the Philippines, such as this hot pink, straw-woven bag from Davao. Clutches in happy, bright hues? Find one from By Hand’s flora and fauna collection.